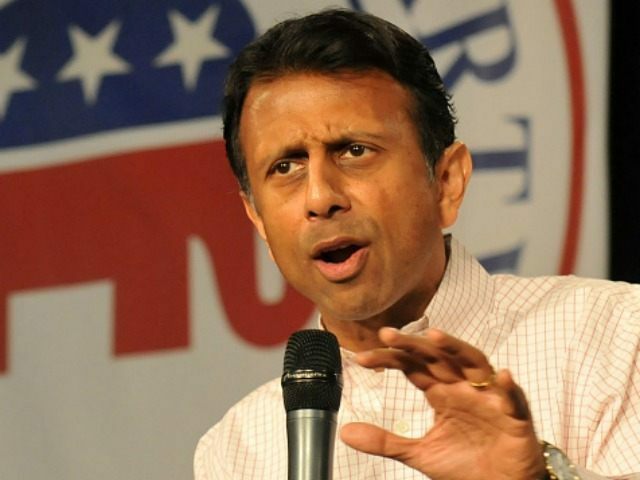 GOP presidential candidate Louisiana Governor Bobby Jindal is polling ahead of former Florida Governor Jeb Bush in Iowa. The new survey from Public Policy Polling (PPP) has Jindal at 6 percent, while Bush is at 5 percent. The poll of 638 GOP primary voters conducted Oct. 30 to Nov. 1 has a 3.9 percent margin of error. In it, Jindal also has a high favorability rate at 60 percent–tied for the third highest with former Arkansas Gov. Mike Huckabee and Sen. Marco Rubio (R-FL)–behind Sen. Ted Cruz (R-TX) at 62 percent and Dr. Ben Carson’s sky-high 74 percent. Former Florida Gov. Jeb Bush has the highest unfavorable ratings. Only 30 percent of Republican voters view him favorably, while 43 percent of GOP voters have a negative opinion of him. Jindal has been relegated to the undercard GOP primary debates, and his campaign has argued that early state primary polling should be used as eligibility criteria for the primetime debate rather than national polls. These numbers reflect the momentum we’re seeing on the ground in Iowa every day at the Governor’s events. He’s already visited more than 50 counties, and more events are added every day. People are fed up, and they’re choosing Governor Jindal because he is the only candidate with the experience to get America back on the right track after the failures of the Obama administration. Billionaire Donald Trump and Dr. Ben Carson are the frontrunners in the PPP poll, with 22 percent for Trump and 21 percent for Carson. Ted Cruz follows with 15 percent and Marco Rubio is at 10 percent. Jindal and Huckabee are tied with 6 percent. Bush is tied with former Hewlett-Packard CEO Carly Fiorina at 5 percent.